Spring marks the start of new beginnings for many people, which may explain why many Canadians choose the beginning of spring to rejuvenate their homes by getting rid of their excess clutter. For some, spring cleaning may merely consist of vacuuming their carpets or giving their toilets a vigorous scrub. For others, spring cleaning may be far more extensive, and may involve cleaning their entire homes from top to bottom, removing all trash and unnecessary items until their homes sparkle like new. However, getting rid of junk can be an arduous and daunting task that can be very overwhelming in some cases. The good news is there are local junk removal companies that will take care of all the heavy lifting and hard work for you so that you can focus on more important matters like spending time with the family. Some Canadians rent out guest rooms in their homes to international students in order to make some extra money. However, with young adults and teenagers come big messes and cleaning. It is very common for graduating students to leave behind their appliances, furniture, clothes, and the like as they travel back home to their country. As such, you will need to get rid of all their items and properly clean the room before you can rent it out to a new student tenant. In such a case, a simple phone call or email to a local junk removal company can take care of the matter for you in record time, as they will eliminate all of your ex-tenant’s junk with a single visit to your home. While clutter within the home can be quite bothersome, clutter outside it can also prove to be disastrous in some cases. Moreover, given how long, harsh, and brutal our Canadian winters can be, it is quite common for tree limbs to fall into yards as well as fences being broken due to chaotic climatic conditions. Or, perhaps you have decided to erect a brand new patio or deck in the yard and have quickly realized that you have old concrete slabs that are taking up much needed space. In many cases, such materials can be very awkward and heavy to move, so why not call a local junk removal service to do all of the heavy lifting so you can enjoy your new patio or deck in peace and quiet? Those who have recently performed some major renovations in their home may find that junk removal services are just what they need. For instance, you may have decided to transform your old musty basement into a rec room for your family and friends to enjoy. Or, you may have decided to remodel your kitchen into the postmodern kitchen of your dreams. While giving your home a makeover can be exciting and fun, the aftermath can be anything but. For example, you may quickly discover that you have leftover drywall, old cabinetry that has long overstayed its welcome, and old musty carpeting just sitting around taking up space. Such nuisances can cause major headaches and be a serious eyesore. But you can get rid of any unwanted appliances, furniture, or construction debris after your home renovations are completed with a simple email or call to a local junk removal company. They will also work around your schedule so that you can come to a home that is completely debris and clutter free. Then, all that’s left to do is marvel at your beautiful, new, uncluttered home renovations and decor. There are a plethora of reasons why Canadians end up dealing with annoying and cumbersome clutter. For instance, you may be holding onto old furniture and clothing that belonged to a family member or relative who has recently passed on or who moved to a local retirement home. Or, perhaps your children have grown up and have moved out of the home, leaving behind appliances, toys, clothing, and furniture that they couldn’t take with them to their new apartments due to space limitations. In some cases, a husband or wife may hoard items, may have difficulty saying no to a bargain, or they simply enjoy collecting various antiques, trinkets, and furniture that are taking up more space than you would like. Whatever the reason, you can call a local junk removal company to get rid of any junk that is cluttering up your attic, garage, or basement so that you can use those areas for other, more pertinent uses. 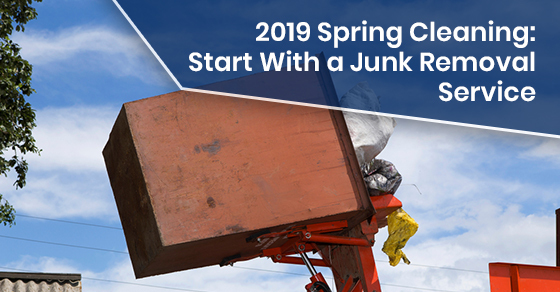 In sum, a junk removal company can help eliminate all of the junk that is cluttering up your home so that you can focus on your other spring cleaning goals. They are experienced in dealing with heavy appliances, furniture, and debris that may cause injury to you or your loved ones if you decide to take on the lifting yourself. Why risk injury and waste your valuable time, money, and effort in getting rid of all your junk when you can leave it to the pros? It is actually more cost effective to outsource your junk removal, transport, and recycling chores to a junk removal company, as you will end up saving a lot of time, and eliminate the risk of injury to yourself and your loved ones. In addition, you will save money, as you will have to pay out of pocket to drop off your junk at your local dump anyway. So why not save yourself a trip by calling a local junk removal company? If you would like to procure the services of North America’s greenest junk removal service, then call Junk Works at 1-888-888-JUNK. We reuse or donate up to 60% of the junk that we haul, and you can save $20 if you book an appointment on our website. This entry was posted in Junk Removal on April 11, 2019 by Junk King. Last updated April 8, 2019 .